The very best quality potatoes, sourced for their superior taste and distinctive crunch, are cut into thicker slices and hand cooked in a kettle right here in Dubai. 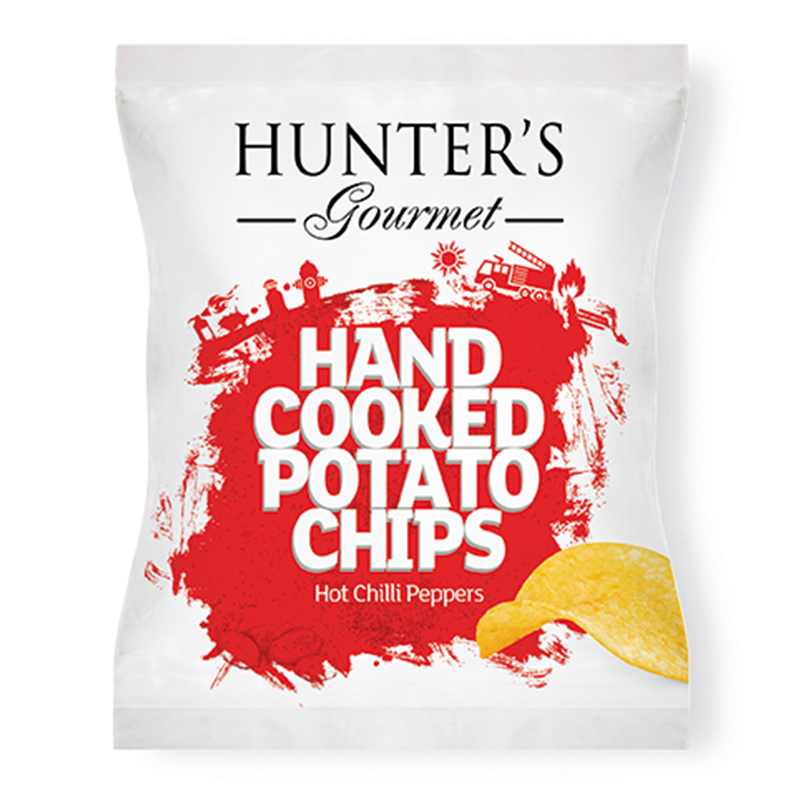 This flavour is so well loved by Hunter Foods chips fans and such an all time favorite for the region! The chips are delicately seasoned, with clean and savoury sea salt first, then the fruity tangy vinegary taste to round up the taste. They are completely gluten free and nothing artificial. Right afterwards, they are packed in our world-class, foil-lined pouches straight away. We definitely do our best to ensure that they reach you in all of their just-cooked, delicious glory. 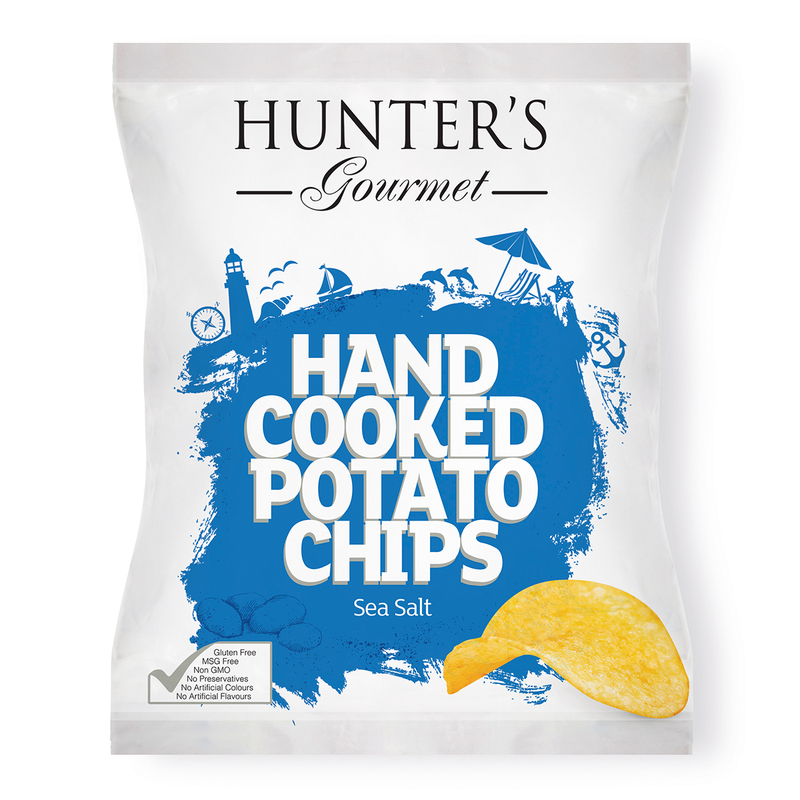 Hunter’s Gourmet Hand Cooked Potato Chips – Sea Salt & Cider Vinegar (40gm) 40gm Packet. Potato Chips, Gluten free, Non GMO, No Preservatives, No Artificial Flavours, No Artificial Colours, Vegan, No Transfat, No Cholesterol, Halal. 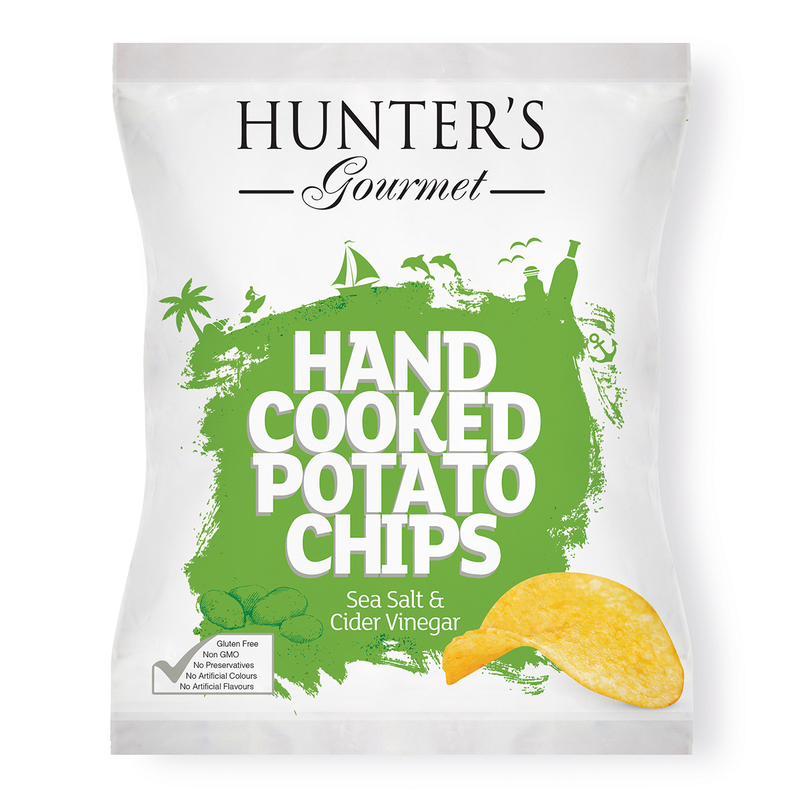 Potatoes, sustainable palm fruit oil, sea salt & cider vinegar flavour: [sea salt, acidity regulators (E262(ii), E262), maltodextrin (potato), flavour enhancer (E621), maize starch, citric acid (E330), rapeseed oil, anti-caking agent (E341, E551) natural flavoring (rosemary)]. Those are tasty and healthy potato chips and my first choice at Starbucks. Delicious and authentic hand cooked chips, I would recommend them to anyone. So finely crispy and with a slight and perfect touch of vinegar. Simply delicious!